Enter your details below and we'll get in touch to arrange your FREE no obligation consultation. This blog post is about the ten most common network cabling mistakes. If you feel your business would benefit from an effective, error-free network cabling solution, please visit our data cabling page. An old piece of engineering wisdom says that there is never just one correct way to do something, but there are hundreds of ways to do it wrong. Network engineering is no exception to this rule, which holds true for every aspect of a network’s design and implementation, from cabling to subnetting and from topology to choice of equipment. Network cabling mistakes are among the most frustrating problems to deal with. Troubleshooting them post-factum tends to be very disruptive of daily business operations, as they involve temporary loss of connectivity, checking cables that are routed through walls, floors and ceilings and so on. Furthermore, many network cabling mistakes, especially systemic ones, can manifest themselves months or years after they have been made. Cabling is the longest-lived piece of a network’s infrastructure; oftentimes, once a mistake has crept in, you live with it throughout the network’s lifetime, or deal with it at immense cost. Understanding the most common mistakes in network cabling can be key to formulating future-proof requirements, to helping your chosen vendor deliver the best possible quality, and, of course, to verifying the quality and compliance of their work. What are the most common mistakes that you need to avoid throughout this process? Here is our top 10. It goes without saying that your network infrastructure needs to work today – not tomorrow, not five years from now. However, a company’s network infrastructure needs to support the company’s strategy and business processes in the long run. Every piece of the strategic development puzzle is carefully laid out. We painstakingly plan the development of well-understood pieces of infrastructure, like office estate and equipment acquisition. The development of a company’s office network, especially of its most fundamental component – the cabling – should be no exception. If your company handled network cabling in-house, the straightest route to a coherent long-term solution is to involve all business functions in the planning. If you work with a service provider, you should aim for giving a broad overview of your growth plans, and especially of how you expect your network bandwidth and availability demands to evolve as a consequence of this growth. How will this design deal with the expected growth in terms of internal users and equipment, and how efficient (time- and money-wise) will it be to make the required changes? How will this design deal with the expected bandwidth and/or latency growth, and the associated growth in terms of deployed equipment, and how efficient (again, time- and money-wise) will it be to scale it? How maintainable is this solution? What kind of expertise is required to keep it running, and what kind of maintenance work will be required for the most common types of failures? 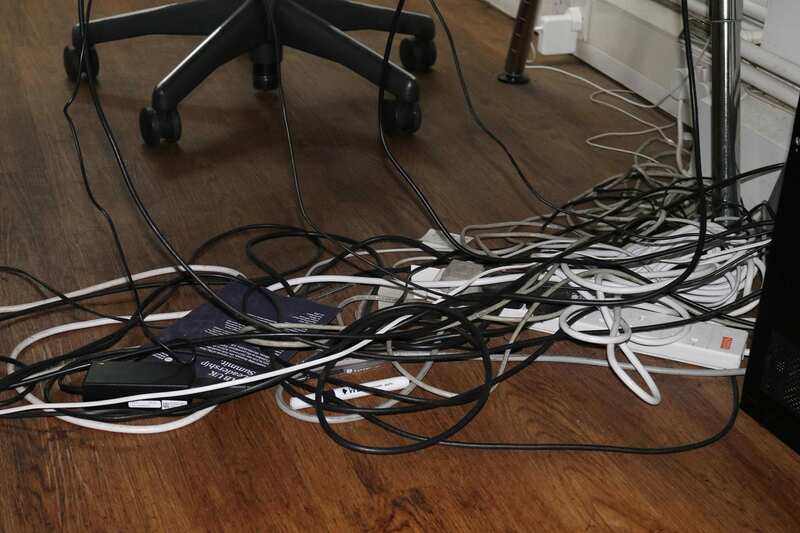 Cable management is one of those activities that routinely gets ignored, postponed or done half-heartedly, until there is simply no way to ignore the consequences anymore. Dealing with them at that point, however, is more costly than even the most minutious cable management process. Cable management deficiencies not only make troubleshooting and maintenance more difficult, but they also increase the cost of simply using the network when it runs fine – in other words, they increase its TCO. Poor cable management routinely results in needless duplication of cables, frequent patchwork, sub-optimum use of switching equipment, and downtimes that are longer than they need to be. 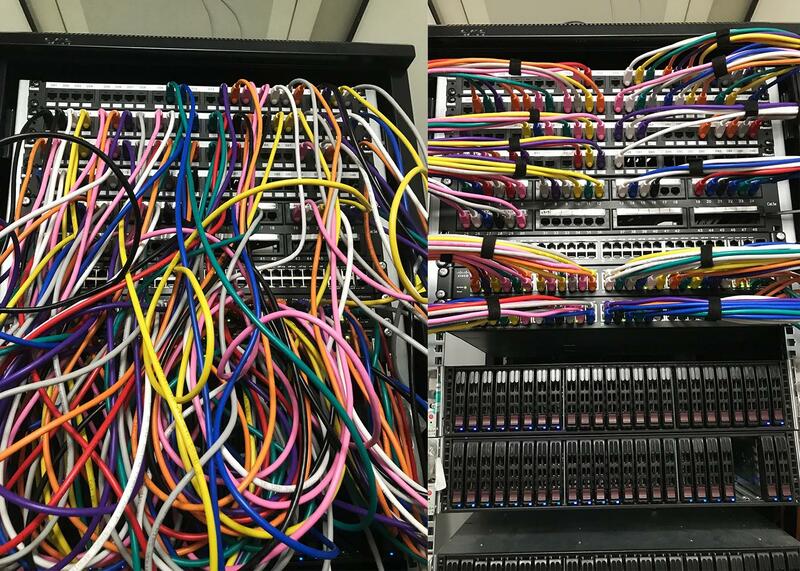 Implementing cable management techniques right from the beginning can result in tremendous cost savings, and devising a set of good cable management measures right from the planning stage is the best way to ensure early implementation. If you are working with a network cabling service provider, make sure to cover devising a good cable management system as part of your partnership. It’s very tempting to leave patch cables connected, even though there is no longer any device at the other end. The reasons often sound suspiciously like excuses for being lazy: a user is going to plug something in eventually anyway, connectors only hold for so many connects and reconnects and so on. 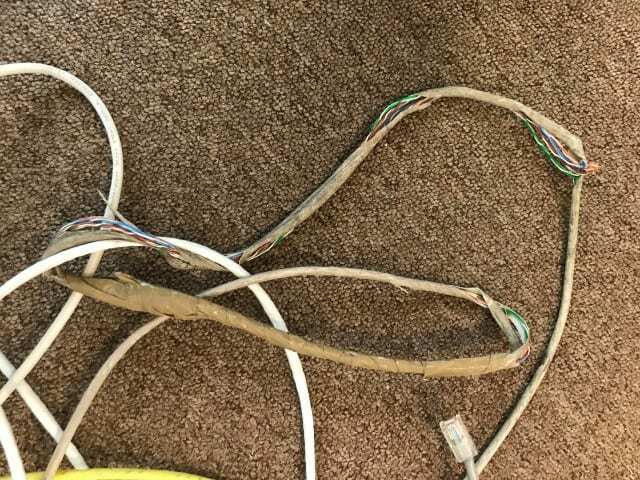 In fact, unused patch cables complicate maintenance, both at the physical layer (no one dares remove a patch cable that’s plugged in the patch panel) and at the logical layer (a link on a switch port is shown as down – but is it because there is a problem with the cable, or because there is simply no equipment at the other end of the cable?). Unused cables are also easily tangled, and are easy to yank accidentally and with a great deal of force, which can damage connectors or patch panels. If a cable is not used, it should be removed – period. Superficially, network cabling seems like little more than a tedious matter of running cables from one plug to another. 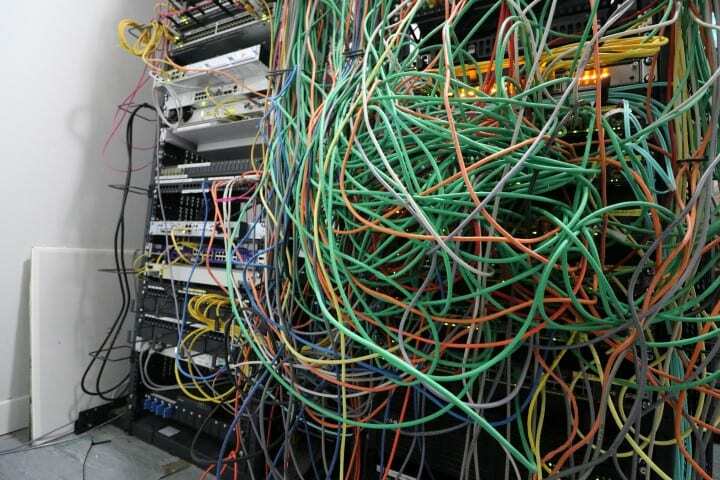 But every network engineer has their own favourite story about that one time when they spent days troubleshooting connection problems that were traced to cables exceeding distance, bend radius or environment requirements. Depending on equipment type and speed, cable type and installation environment, a number of installation requirements need to be observed. The most often-quoted ones are distance and routing requirements like protective sheathing. However, many other problems arise in practice, with cabling standards, building codes and legal requirements mandating parameters like bend radius, shielding and distance to other types of cable. Ignoring these requirements is not only a performance and reliability problem – depending on what requirements get ignored, it may be a legal problem. For example, because tripping and falling is the most common workplace hazard in the UK, employers are required to provide adequate protection through (among other things) adequate cable installation. All these requirements need to be observed during installation, and initial planning needs to take all of them into account. Fortunately, most of these requirements are formally specified in regulatory and legal material, so it is possible to cover them with your cabling service provider. It is not uncommon for many network links to go unused for certain periods of time after their installation, especially in structured cabling designs. This is especially true of the final stages of cabling, which are closest to the user equipment – some of which may not be initially installed. This means that, if any of these links are faulty, the faults are discovered only much later. Unfortunately, this also tends to happen in the most embarrassing moments: the conference room projector connection is found to be faulty when a client is visiting, bad connections in the office are found by new employees on their first day and so on. It is therefore very important to make sure that all links are correctly tested, even the ones that will not be in immediate use. Furthermore, it is essential that all links, from every network section, be tested at the same time. That is because structured cabling is usually installed in phases, over long periods of time; some of its components are installed early, while an office is being built or refurbished, weeks before the user-facing sections are installed. Sections that worked fine when they were first installed can be damaged during construction, or can turn out to have integration problems when the entire ensemble is finished. Testing should be a part of every hand-off procedure, but it can offer quality guarantees only if it is treated as a way to confirm that requirements are met, not just a set of checkboxes. Choosing the optimum cable type for each application is, of course, an integral part of any cabling design effort, but there is as much value in optimum cable choice as there is in ubiquity. A common example of this mistake is using separate cabling for data and voice infrastructure, even though the same type of cable can be used and there is barely any opportunity for cost saving. Using the same twisted-pair cable type for both data and voice networks – or switching to VoIP altogether – can be the better choice for many users. Needless proliferation of cable types also results in higher long-term costs and complicates maintenance. As long as it does not compromise on long-term scalability, one should aim to minimize the number of cable types used in a network. 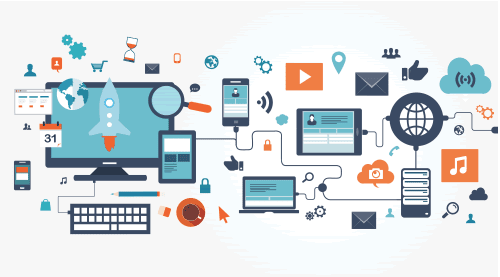 Many modern office networks use wireless APs for user workstations, especially with BYOD becoming the dominant paradigm and with smartphone and tablet use in the workplace becoming ubiquitous. However, the cabling sections required to support the wireless APs and routers are not trivial to service and replace, and maintenance and troubleshooting on the wireless network can be costly to everyday operation. Consequently, there is little room for error in AP placement, and correcting any errors that do occur tends to be costly. For relatively small offices, you can usually get away with following common recommendations for AP placement, but for larger work areas, there is no way to get AP placement right without an RF survey. Your cabling service provider can tell you if an RF survey is needed; many small companies, with small wireless-serviced areas, will not be needed. But if the answer is “yes”, ignoring it tends to be costly. Every setup is great while it works, but the true test of a piece of infrastructure’s flexibility and long-term reliability is how easy it is to maintain and repair. Failing to make provisions for maintenance and replacement postpones this true test for what is typically the worst possible moment. Not leaving room for removing cables, so that cables need to be left in place when changing or moving equipment, thus increasing clutter and cabling costs. Failing to provision and implement cable management rules in non-critical sections, leading to lengthy troubleshooting procedures when disaster strikes. Very large network have tight maintenance and replacement, formalized as part of company procedures. For smaller networks, things need not be so formal, but you should at least discuss the most common maintenance and replacement scenarios with your network cabling company. With short-lived components, it often makes sense to make decisions based solely on upfront costs. Indeed, if performance is going to be adequate throughout the short life of that component, a major part of the decision-making process virtually solves itself. However, the long life of network cabling requires a more nuanced view of this matter. 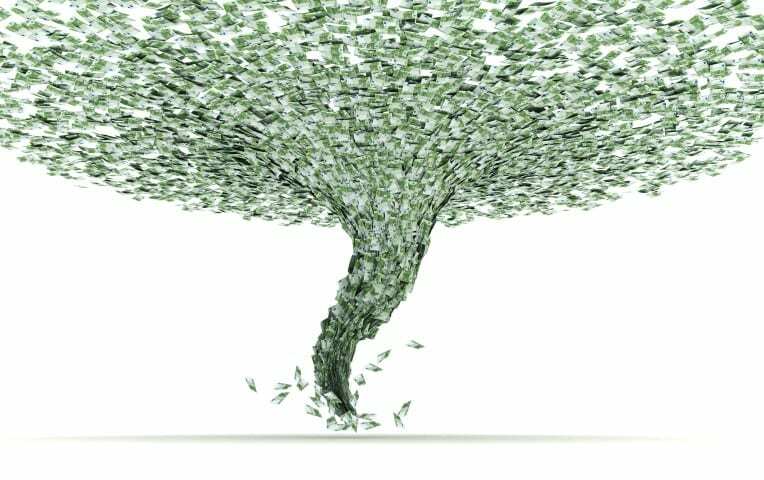 It certainly does not leave upfront price out of the picture, but it needs to include problems like operational life and the cost of replacement, the cost of maintenance and verification – and not just in terms of money, but also in terms of network disruption and downtime, the cost of developing and maintaining (or contracting) the required know-how, and the management and logistics effort required to orchestrate all these. This applies not only to components (i.e. the cabling itself), but also to its installation. Be as mindful of long-term implications when choosing who you work with as you are when evaluating the solutions that a vendor is proposing. Many system problems in a company network were once localized issues that seemed innocent enough – but were left to grow. 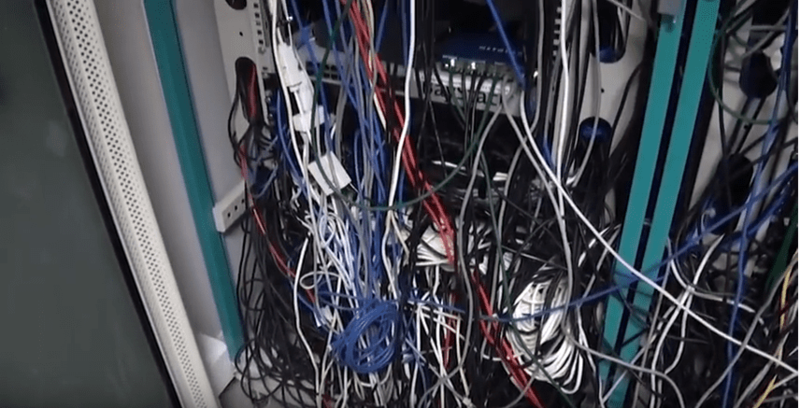 Cable management problems in data centres are a typical example; when they are first identified, they are usually localized to a few racks, and can be resolved relatively hassle-free, either in-house or by contracting a cable tidying service provider. Left unchecked, though, these problems tend to expand. The lengthening maintenance impacts everyday performance (and, ironically enough, IT investment – as the costs required to maintain a network increase with its messiness and complexity). Straightforward solutions to various issues get sidestepped if they require touching the equipment placed behind the tangled wires that no one dares touch. Granted, it is not always possible to solve a problem immediately. 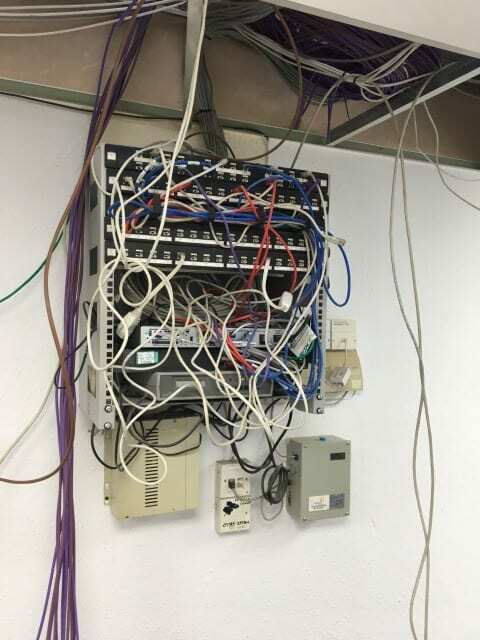 For example, a busy online shop whose IT team has just come to terms with their cable management problems cannot afford the disruption required to tidy everything at the height of the shopping season. But, as soon as you identify a problem, you should at least draft a resolution plan along with your service providers, identify any potential mitigation options, and put in place a solid roadmap to resolution. It was hard to limit this post to 10 mistakes, especially since it was created out of the things our engineers and technicians at ACCL see every day when they have to untangle messes created by others. Cabling mistakes are more common than you might believe and more costly. This is why we always advise working with professionals. You should entrust your cabling work only to people with a proven track record of success. If you want to make sure your office is free of cabling mistakes, contact us for a FREE, no-obligations survey. Wayne Connors is the UK’s leading expert and Author on Structured cabling. He is the Managing Director of ACCL, and with over 35 years in the communication and networking industry is well placed to help you with your communication questions. As the client I can only say thanks and its an amazing piece of work by all involved. Believe me that the work to coordinate this work around other issues was challenging but Wayne and ACCL were great. Wayne continues to excel and is a valued provider of all our structured cabling solutions. Whether your requirement is fibre, copper or a turnkey network solution, ACCL knows what they are talking about. Their project management is end‑to‑end and their knowledge vast. Wayne was an integral part commissioned our new state of the art Sports Science & Medical Training facility including a site-wide Wi-Fi solution. I highly recommend ACCL.